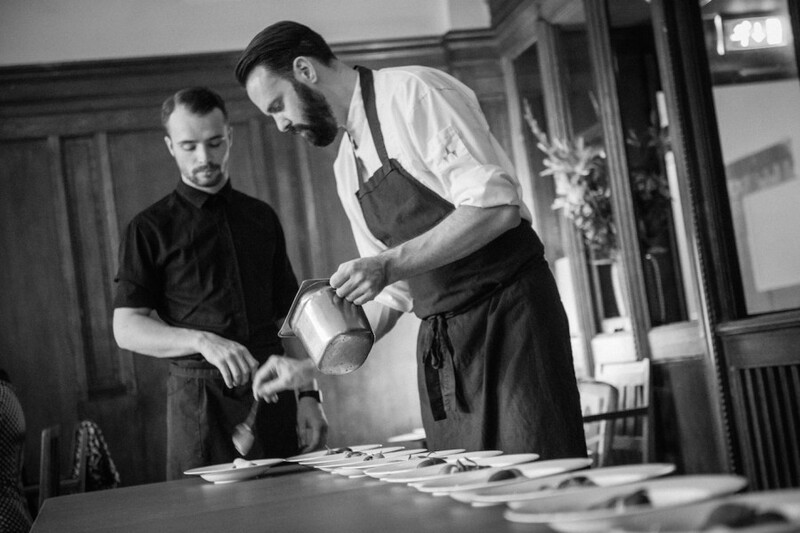 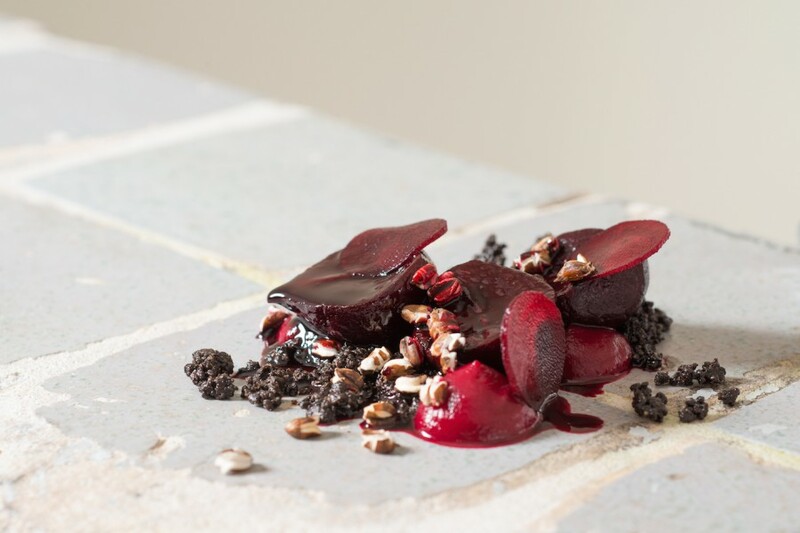 Emile van der Staak and Rutger van de Pol serving beetroot and black barley. 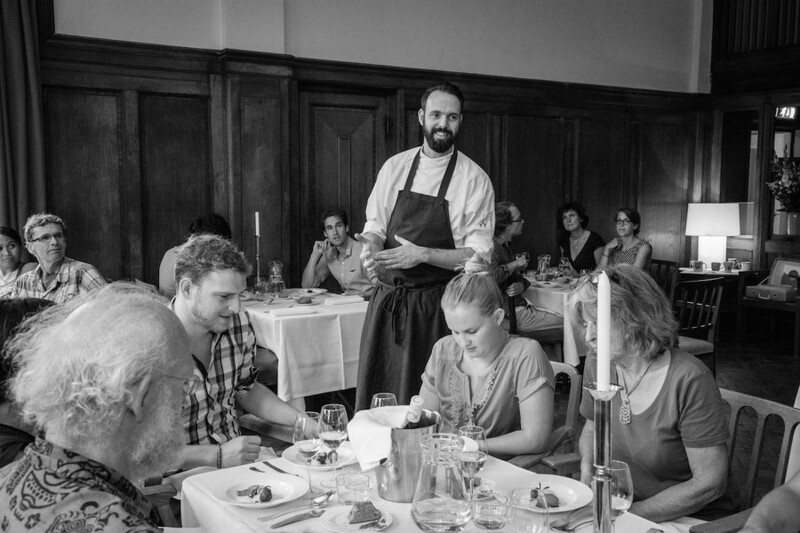 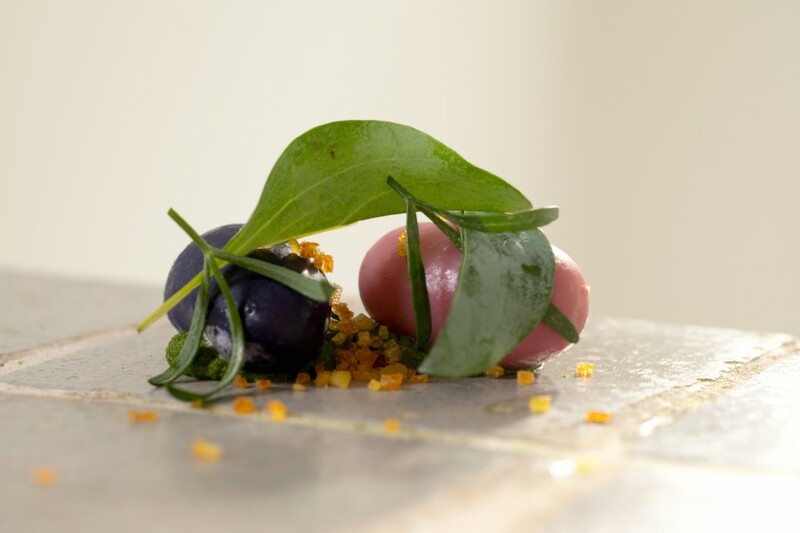 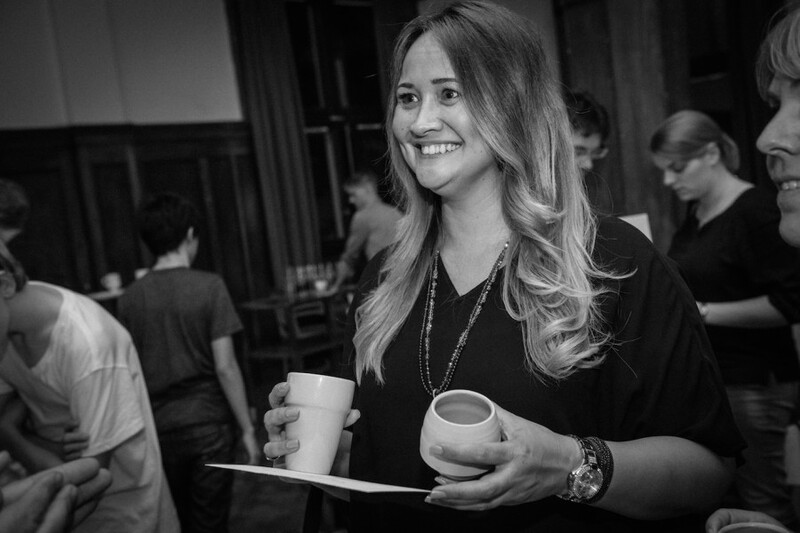 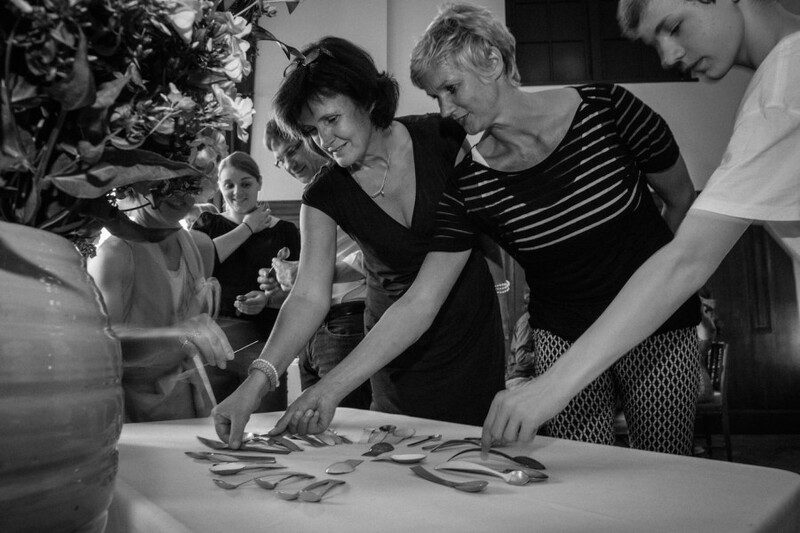 Emile van der Staak during Steinbeisser’s Experimental Gastronomy at the Lloyd Hotel & Cultural Embassy in Amsterdam. 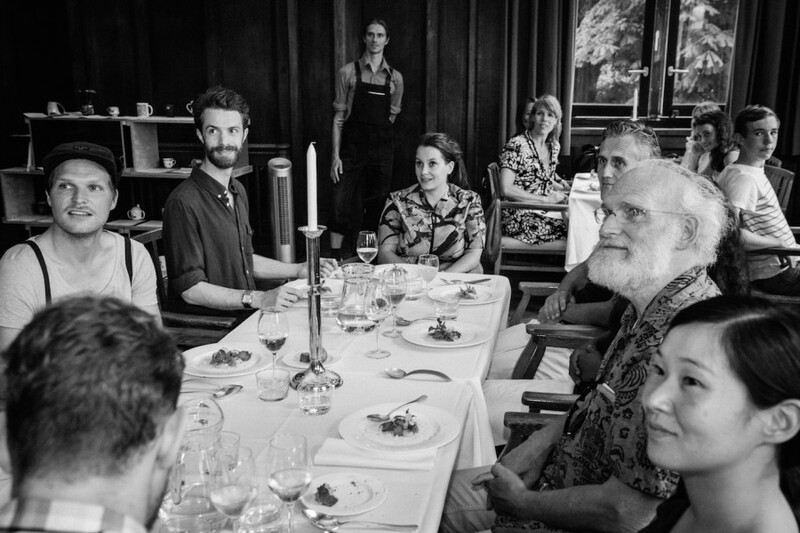 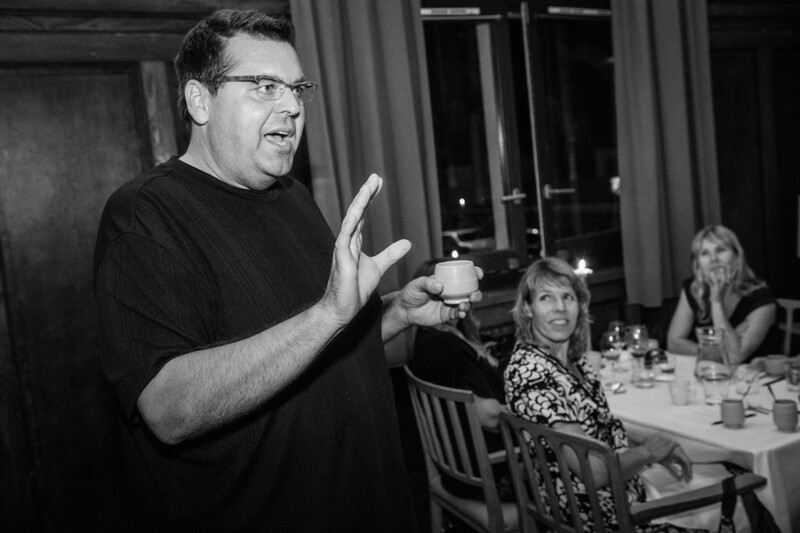 Michael J. Strand during Steinbeisser’s Experimental Gastronomy at the Lloyd Hotel & Cultural Embassy in Amsterdam. 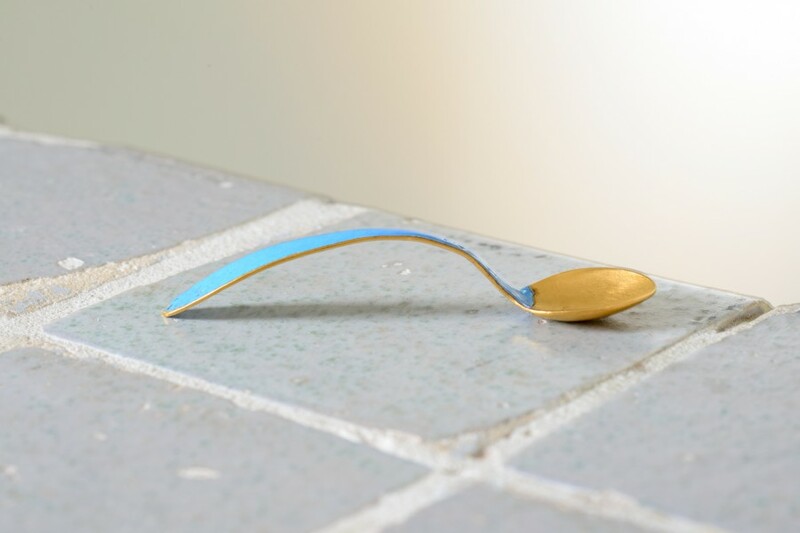 ‘Blue Gold’ Spoon by Tabea Reulecke. 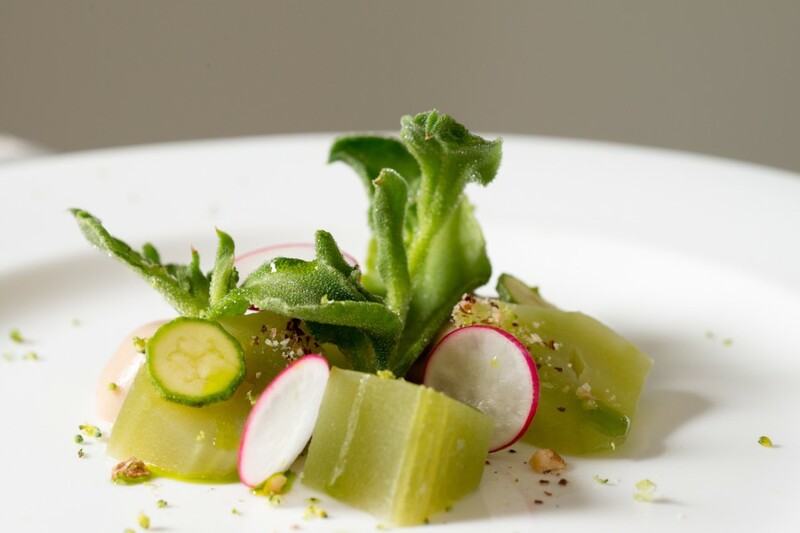 Celtuce, ice plant, tadish and cucumber. 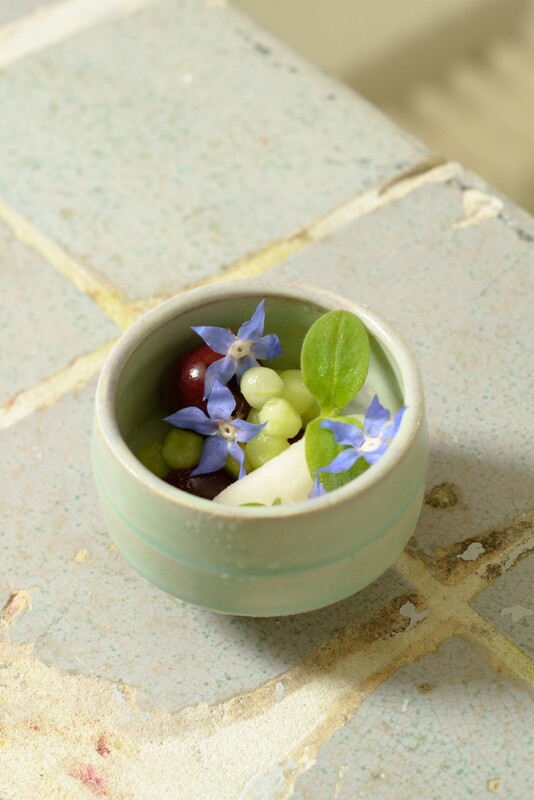 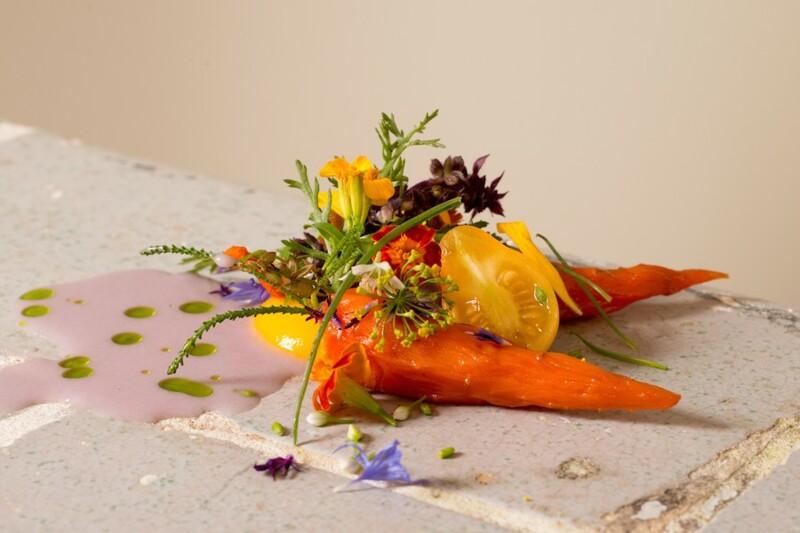 Cucumber, cherries and borage flowers served in a clay cup by Michael J. Strand. 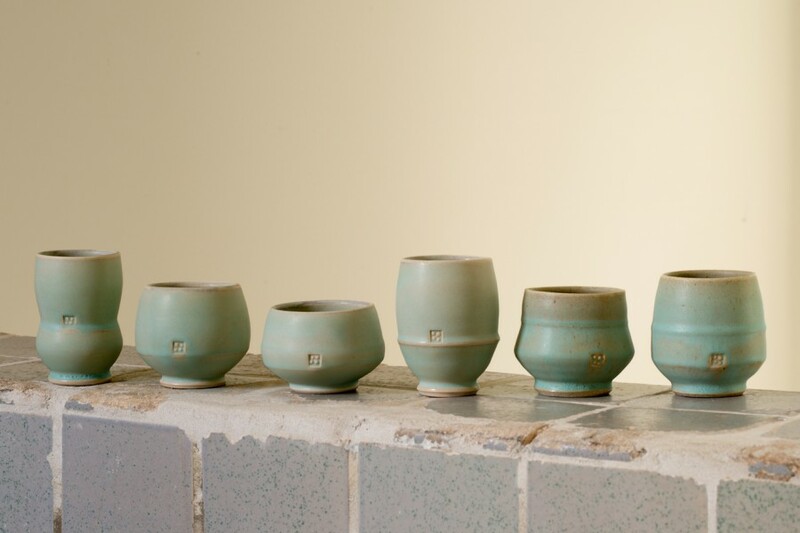 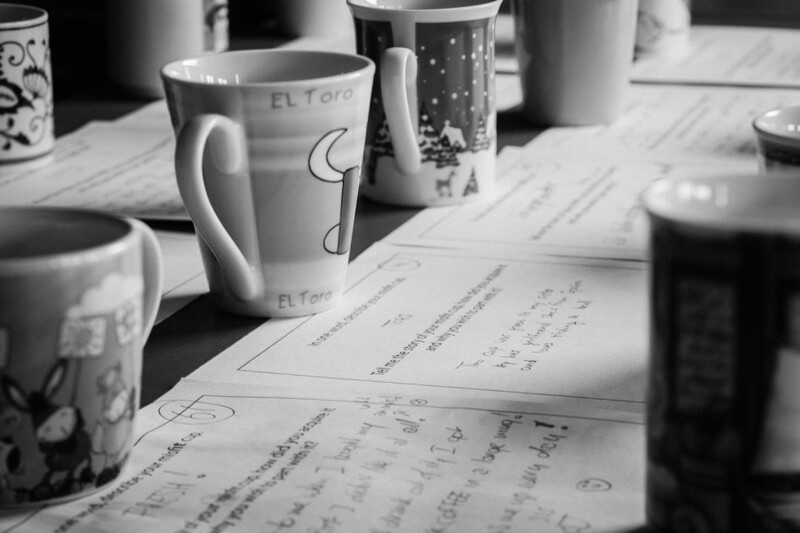 Clay cups by Michael J. Strand. 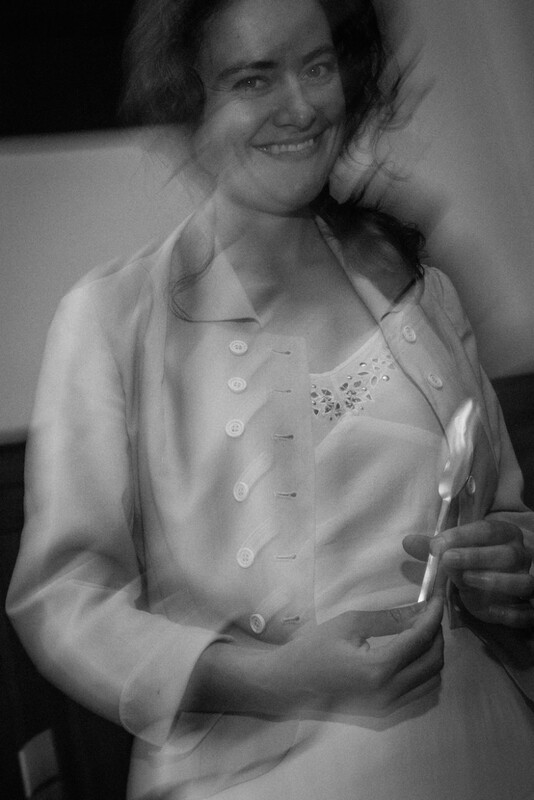 Photography by Peter Laarakker.